Iconic filmmaker Jorgen Leth has directed 40 films over his celebrated career. Three of these are some of the most important cycling films ever made. 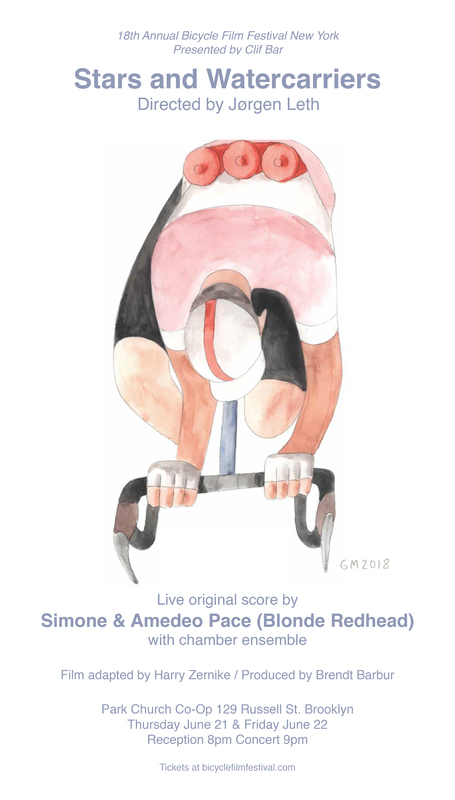 Over the last two editions of Bicycle Film Festival in New York we have screened two of them—Impossible Hour and A Sunday In Hell with a live score by Blonde Redhead’s Simone Pace and Amedeo Pace. We complete the trilogy of films with a screening of Stars And Watercarriers with a live score by the Pace Brothers. Stars and Watercarriers follows riders through the 1973 Giro d’Italia (Tour of Italy). Observe the world’s greatest cyclists including Eddy Merckx, Ole Ritter and Felice Gimondi at the peak of their careers as they tackle mountainous terrain and time trials. The film’s moving footage offers insight into a three-week cycling race and highlights the journeys of different riders.